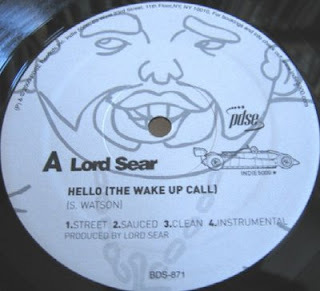 Lord Sear first came to prominence on the infamous WKCR radio show The Stretch Armstrong and Bobbito Show which ran for nine years from 1990 to 1999. Since then Lord Sear has gone on to do a number of other shows and now has his own show on Shade 45 on Sirius Radio every Friday called the Drunk Mix from 10pm to Midnight. 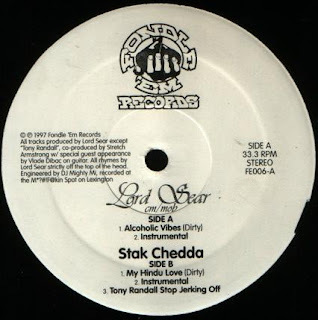 Lord Sear is a dope Dj but in the 90s he dropped the odd piece on vinyl that although hard to find are worth picking up if you ever see them. 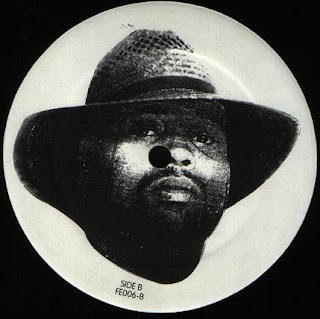 The First 12" he dropped was on the Legendary Fondle Em label in 1997. The A Side was called Alcoholic Vibes and the B Side was my Hindu Love. Lord Sear Produced the Track and Mighty Mi engineered them. Both tracks are fun and have pretty decent beats backing up Sear's funny lyrics. the first as you might guess from the title is about Sear's love of Alcohol. the second track finds Sear going into the details of his love for a lady Hindu faith. The second 12" he dropped was in 2000 and was on the Buds label which was dropping a lot of dope underground and obscure 12"s around the late 90s. Again Lord Sear produces a couple of humorous tracks, one in particular about the problems of bad breath is very funny. Both have dope upbeat samples and are worth checking out. ayo that mufucka is dope kid!